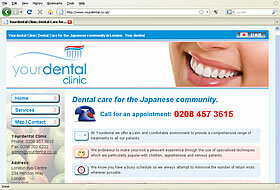 Dental clinic based in London for the Japanese community. We needed a website which would appeal to our Japanese clients and were very impressed with the site which was produced for us. Jeremy was very responsive and always willing to help.